Gain insight into the factors that influence customer behaviour to create more integrated and effective geo-targeted marketing campaigns. 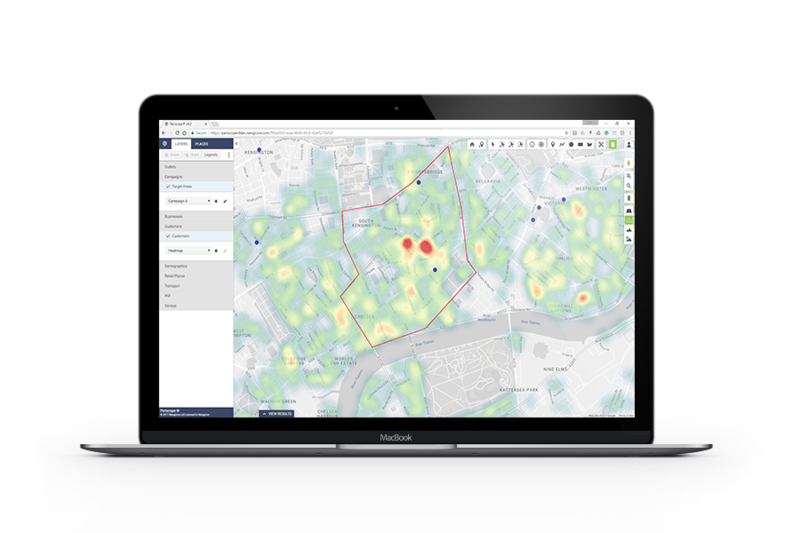 Marketing campaigns generate better results when they’re geo-targeted with location intelligence. Periscope® lets you bring all marketing data together and view it on your own secure, corporate version of Google Maps. Combine your own customer records with your competitors’, then overlay up to 200 additional attributes to create a comprehensive picture of customer trends within a defined area. Use this insight to build customer personas, predict customer behaviour, identify lucrative new business opportunities and make advertising decisions for your brand. Group Executive Director, Standards, Operations & Compliance, Audit Bureau of Circulations Ltd.